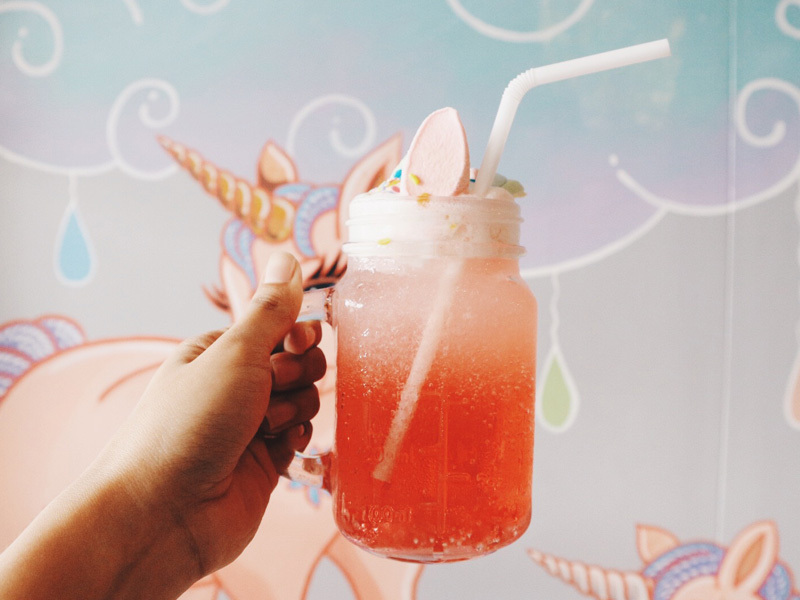 To all unicorn lovers out there, you no longer need to fly out of the country because a unicorn-themed restaurant is now in Maginhawa! 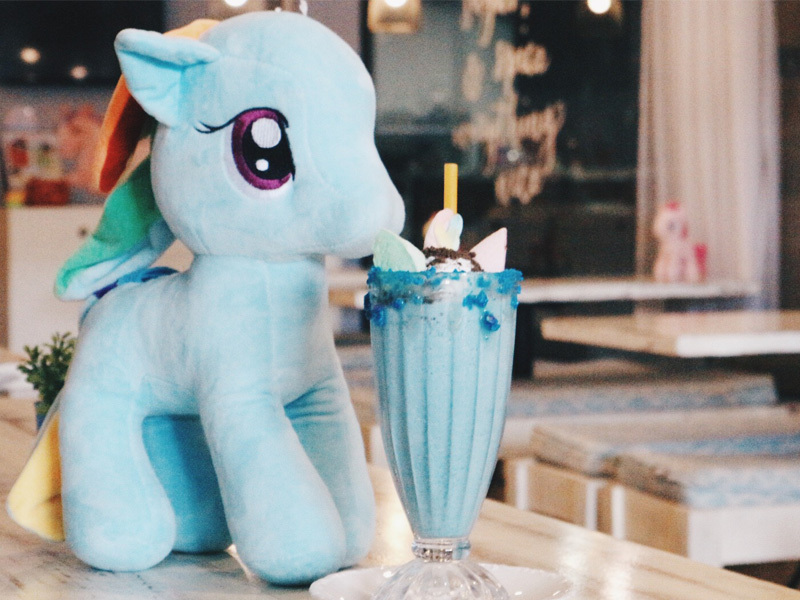 Rainbow Dreams Cafe will surely make your unicorn dreams come true! Ever since I discovered it through the hype in social media, I have always wanted to go there but since Maginhawa is quite far from me (I’m a South person you know, haha) I never really planned it out. Until I reached out to my blogger friends and thankfully we decided to meet up in Rainbow Dreams Cafe! Because we arrived early, we were able to get a good spot with good natural lighting (#bloggerproblems). 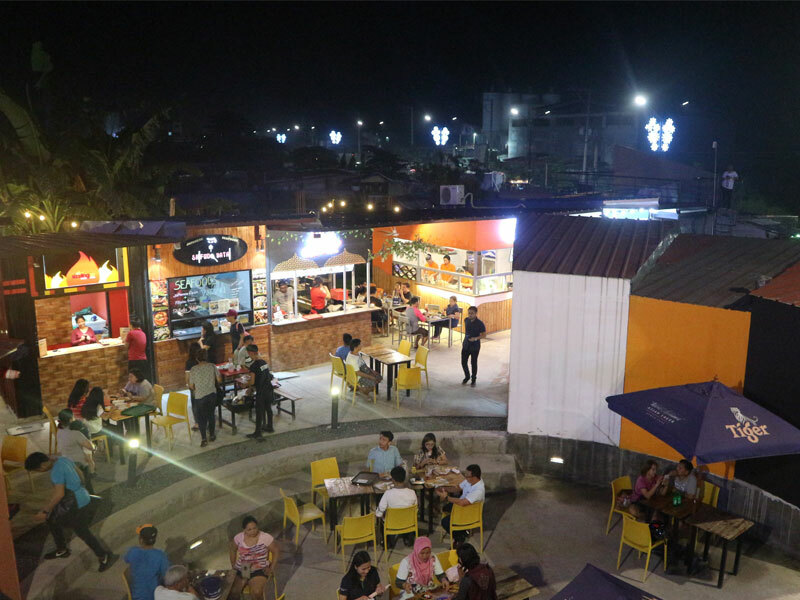 Rainbow Dreams Cafe just opened three months ago and a lot of people are coming so it can get crowded. I suggest you come early. They’re open from 10:00 AM to 10:00 PM. The cafe is so dreamy, filled with rainbows, unicorns and pastel colors. Any millenial can tell how Instagrammable this place is! It even makes me want to bring back my Instagram to life. Haha. 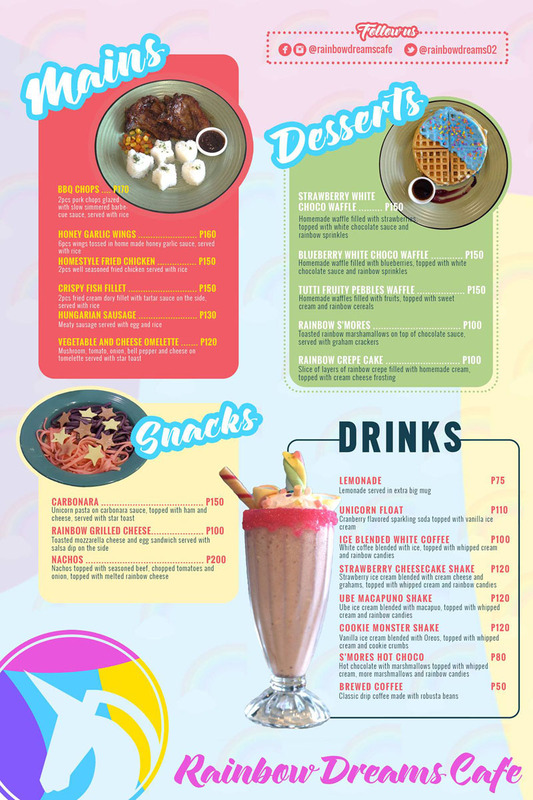 After a few minutes, I decided to go with their unicorn specialties: Carbonara (Php 150) and Unicorn Float (Php 110). Also in the photo is Melissa’s order, Rainbow Grilled Cheese (Php 100). I find this pasta weird at first but since it looks cute, I wanted to try it. Haha. And surprisingly, it tastes good! I got carried away with excitement when I ordered Unicorn Float that I didn’t realize it’s soda. :( I don’t drink soda anymore but I can’t put this cute drink to waste so I drank a little and just ate the marshmallow toppings. 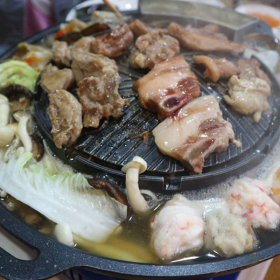 They also have rice meals, which Jamie ordered: Hungarian Sausage (Php 100) and BBQ Chops (Php 170). Even the rice is presented very well! And oh look at this Cookie Monster Shake (Php 120)! The blue lover in me is so happy! It was a really long commute for someone like me coming from the South but it is very accessible and easy to locate! Ride a bus/FX/jeep going to Fairview/UP/PHILCOA and drop off at PHILCOA. Alternatively, you can ride the MRT to Araneta Center Cubao Station and from there, you can ride a bus going to Fairview/UP/PHILCOA. From PHILCOA, ride a tricycle and tell the driver to drop you off at #80 Maginhawa Street. You can find Rainbow Dreams Cafe at the 2nd floor of the building. For private vehicles, you may follow the directions from your favorite navigation app. 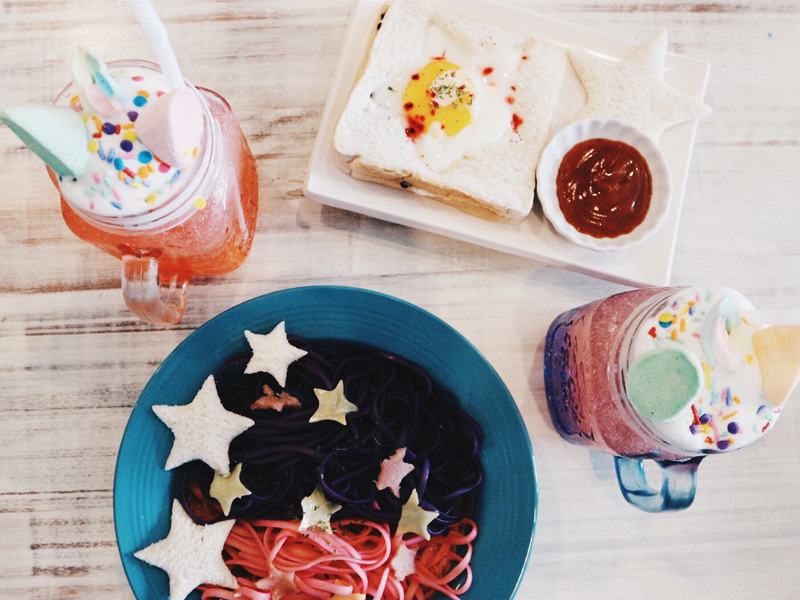 Bonding with friends over good food is always a good idea so make sure to bring them when you come to Rainbow Dreams Cafe! 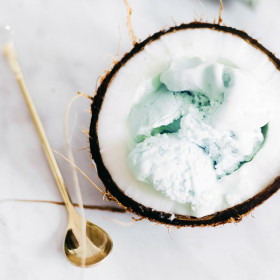 Their rainbow-inspired desserts and drinks are truly a must-try and are even good for sharing. Make sure to have fun with those onesies too! 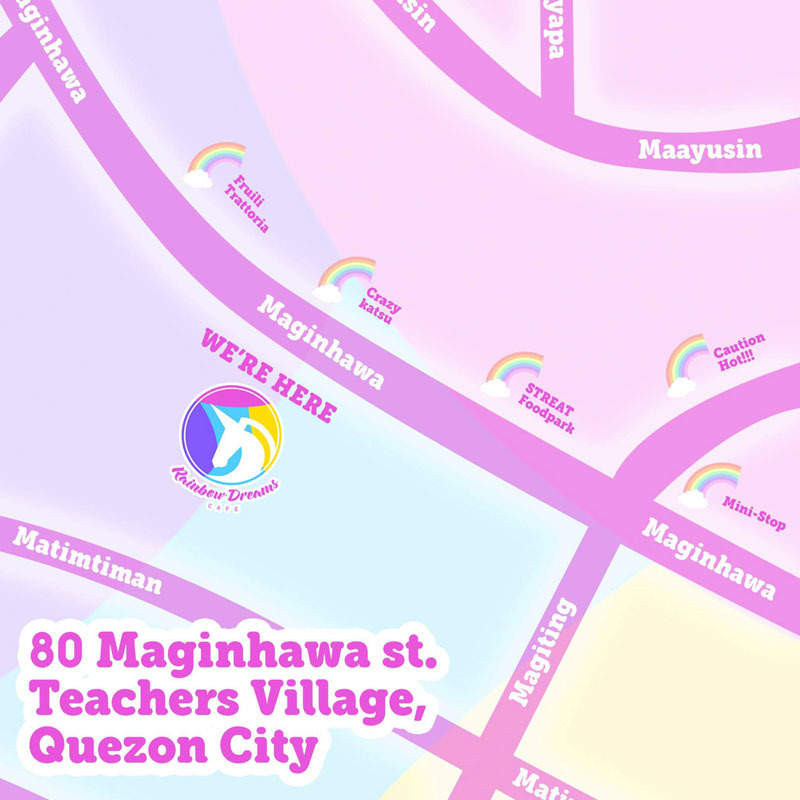 For inquiries and updates, you may follow Rainbow Dreams Cafe on Facebook. 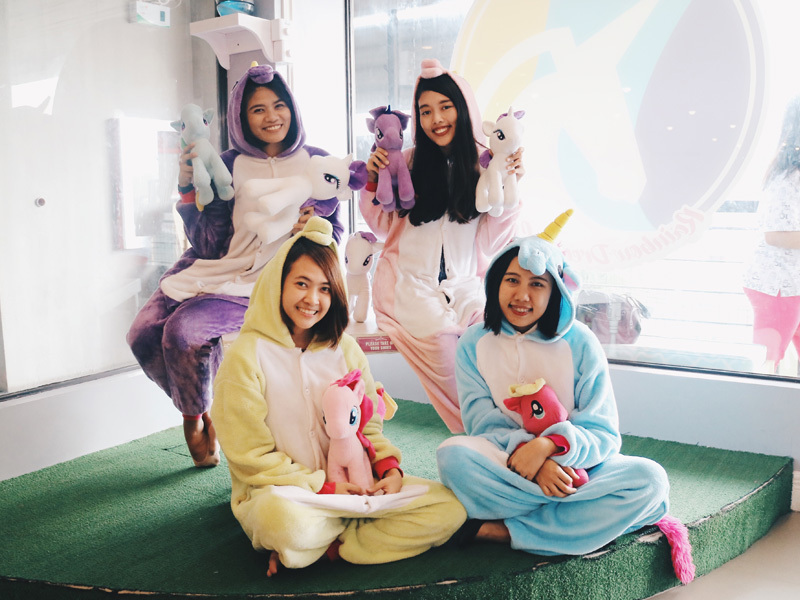 Do you love unicorns and want to become one even just for a day? 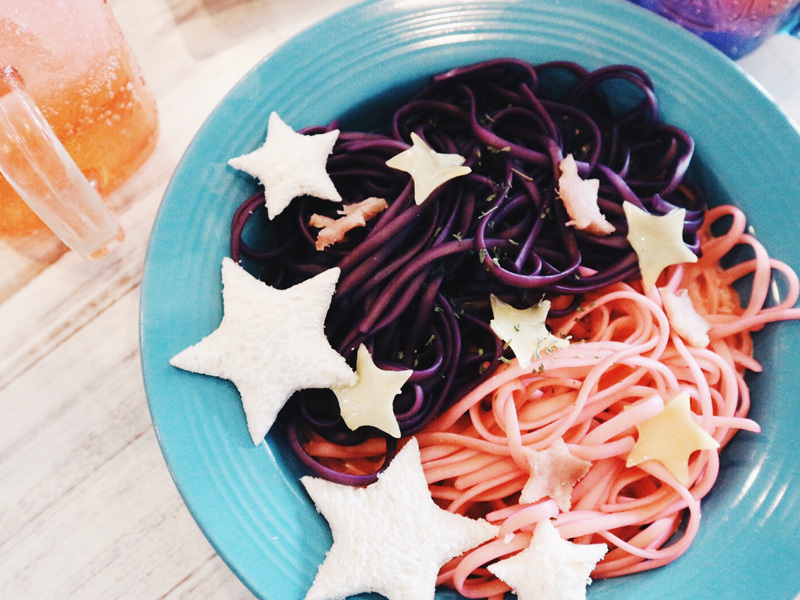 Have you been to Rainbow Dreams Cafe? How was your experience? 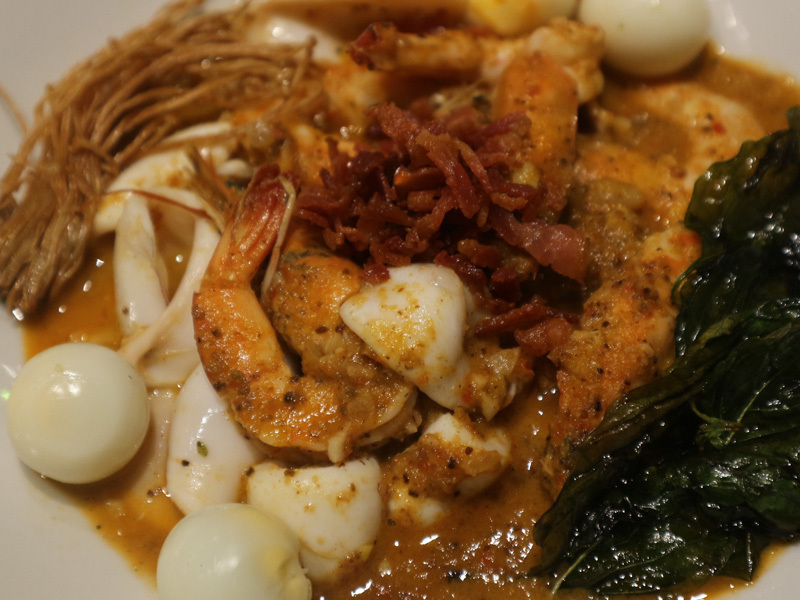 If you haven’t been to and want to go, what food would you like to try? I’ll visit this cafe once I visit Manila, for sure! Hopefully this time, I’ll be able to try the onesies. Haha. Grabe, I just realised, ang daming beses kong ginamit yung word na “cute”! Hahaha! Super happy to see you, girls! <3 next time ulit ah. Haha. 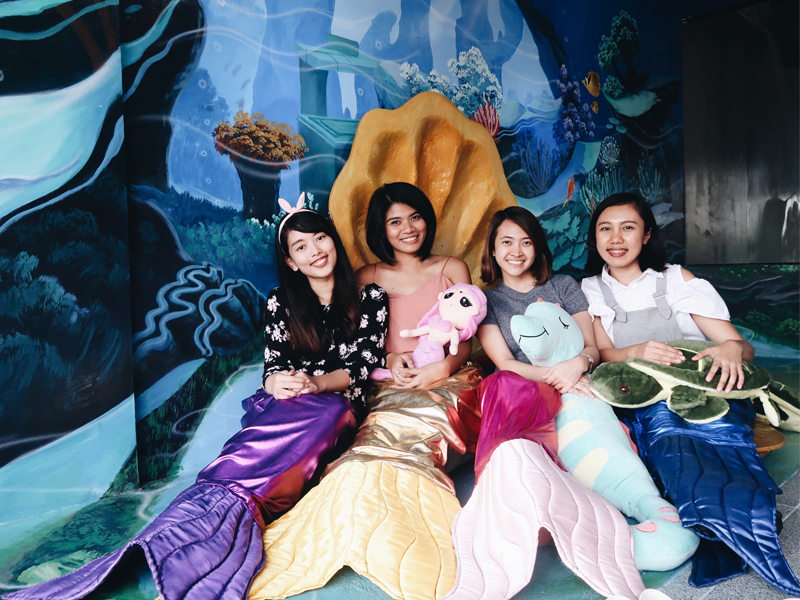 I enjoyed my stay din sa Unicorn Cafe and I would love to visit soon. Blueberry White Choco Waffle ung inorder ko, the food is okay naman pero matamis siya for me. (Di talaga ako fan ng matatamis na food). I'll definitely bring my boyfriend here next time! 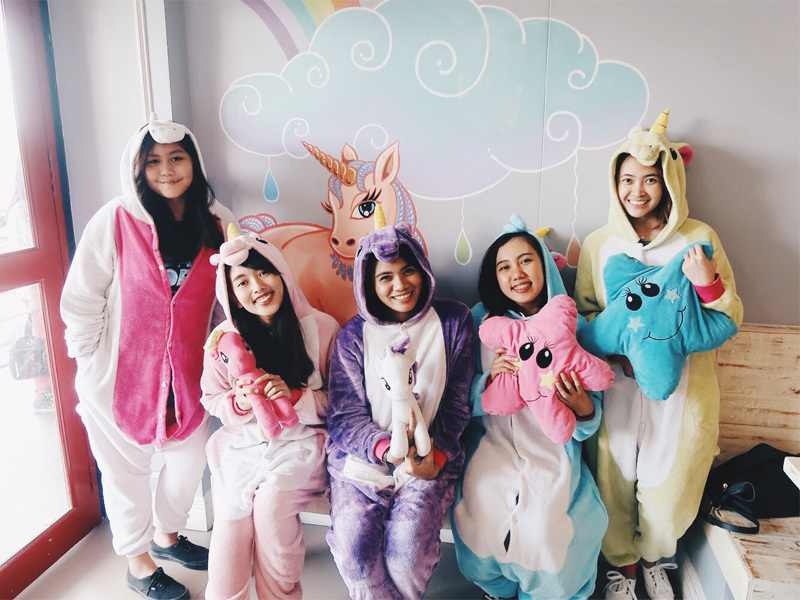 I hope they have onesie na medyo teal ung color. Haha. This is so cute! Does the onesies come with the cafe? If not, where did you guys buy it from?